Love this in B & W, just terrific. This is cool, almost makes me feel a bit dizzy looking at it. And I didn’t even have to pay for a ticket! When I look at the big wheel the clouds seem to move. Detail from bottom to top too, good shot. Great pov makes me a bit dizzy ! 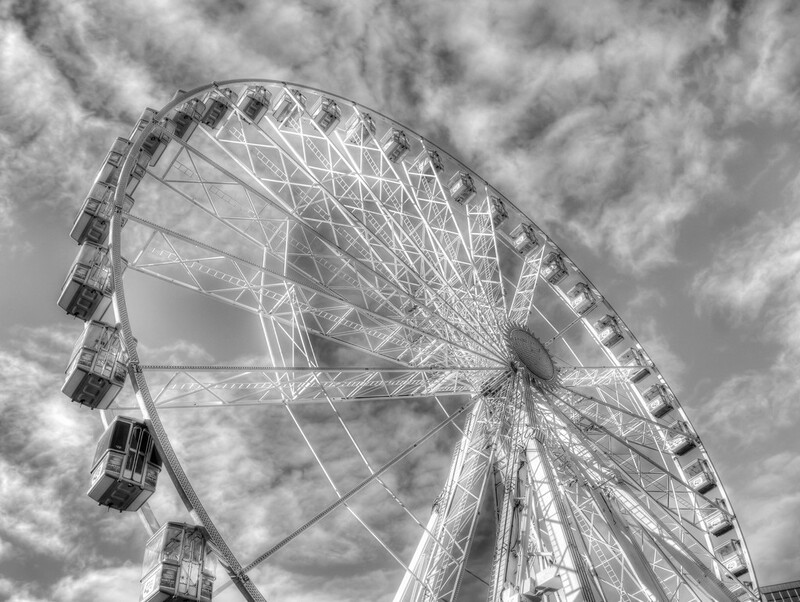 Great shot Tony, that may possibly be the wheel that we have in Torquay each summer. Beautiful Tony! Just saw it on TT -- congrats! Love this one, Tony! Congratulations on the TT! I need to catch up now that I am back from my trip! Fav.